A much-anticipated merger between T-Mobile and Sprint has been considered by analysts to be all but inevitable for the past few months. But reports that Sprint’s parent company, SoftBank, is getting cold feet sent both telecoms’ stock prices plummeting on Monday. It’s beginning to look like the deal that was as good as done is now dead. Japan’s highly-reputable market publication Nikkei reported on Monday that SoftBank is planning to exit negotiations with Deutsche Telekom, T-Mobile’s parent company, as early as Tuesday. It’s long been understood that T-Mobile would ultimately take the controlling stake in the combined company. But according to Nikkei’s unspecified source, SoftBank’s board had a meeting on Friday and decided that it couldn’t come to an agreement with Deutsche Telekom on the details of the ownership ratio. Following the report from Nikkei, Sprint’s stock price dropped by about 11 percent and T-Mobile’s value was down a little over four percent. Bloomberg has subsequently followed up with its own source, “a person close to T-Mobile parent Deutsche Telekom AG,” who said the two companies have been unable to agree on the terms of ownership. Both companies have attempted to complete various mergers in recent years, but each time, they were thwarted by regulators. Each time, one of the companies involved in the proposed deal would claim that a merger was the only way they could survive. Each time, they’ve managed to get along without the merger going through. In T-Mobile’s case, it has surpassed growth expectations through a strategy of giving customers what AT&T and Verizon have taken away, the biggest example being unlimited data plans. 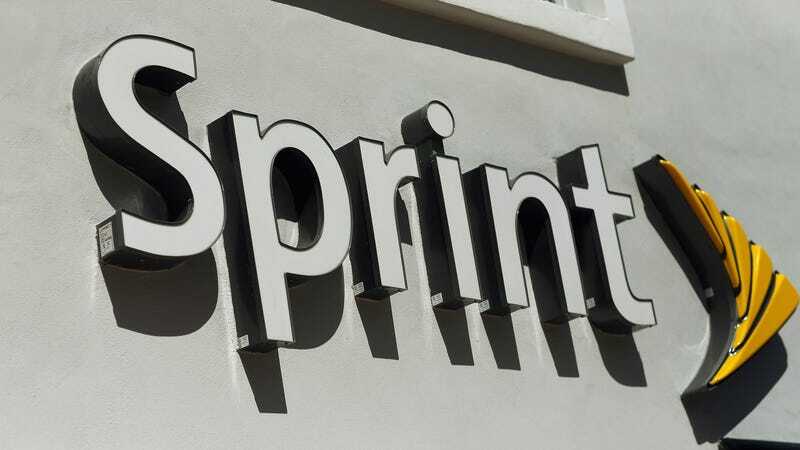 For Sprint, it’s still struggling with a lot of debt, but it has projected that it’s 5G spectrum holdings put it in a competitive position for the future and it also has made gains by offering customers unlimited data. In other words, while AT&T and Verizon have been mirroring each others’ business moves and enjoying their dominance, T-Mobile and Sprint have offered something different and are eating into the giants’ market share. Competition seems to be working, at least in a limited way, even if it’s kind of difficult for the smaller companies. As recently as this weekend, Deutsche Telekom’s CEO Timotheus Hoettges was arguing that a combined Sprint and T-Mobile would be good for competition. He declined to discuss the negotiations of the deal, but according to Reuters, Hoettges did say that, “In the U.S. there is a duopoly between two very big players, and then there are two smaller players well behind.” He argued that “a third strong player would be good for competition.” The problem with that argument is that when three companies are of a relatively equal size, they could find it more convenient to just enjoy their profitable market share and stay out of each others’ way. In October, some analysts were predicting that Deutsche Telekom could hold off on a deal while it waits for Sprint’s stock to go down, giving it a bargain in what has been expected to be a stock-for-stock merger. But it’s now looking like SoftBank could be the one playing hard to get. Of course, this unconfirmed news is giving Deutsche Telekom just the outcome it was looking for, so we’ll have to wait and see. Gizmodo has reached out to both companies for confirmation and we’ll update this post when we receive a reply.